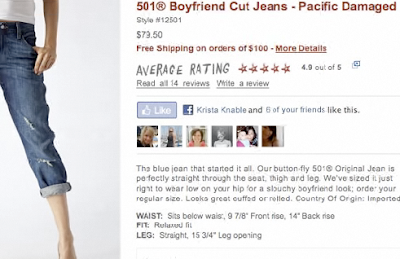 Levi's is betting on the fact that you care what other people think. More specifically, what they 'like'. One of the first brands to utilize the social networking concept of the thumbs up "like" button found on Facebook, they've integrated Facebook's new social plug-ins into their online shopping site. The Levi’s® brand today announced at Facebook’s f8 conference the introduction of an innovative new way to shop for jeans online. 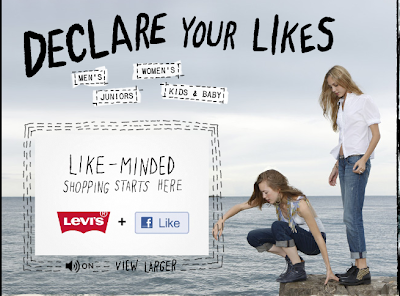 With the launch, the Levi’s® brand is among the first companies to integrate with Facebook’s new Social Plugins. The Levi’s® brand will provide shoppers with an interactive, customized shopping experience on levi.com (based on consumers’ “Likes”), information about “Top-Liked” products across consumers’ networks, and an easy way to find and share relevant Levi’s® products. As part of today’s announcement, Facebook introduced a new set of Social Plugins that can be easily integrated into a website to make the user experience more personalized and social. Powered by the Open Graph, these new plugins include a “Like” functionality, Activity Feed, and Recommendation widget that bring friends, social activity and relevant interactions to any site off of Facebook.com. 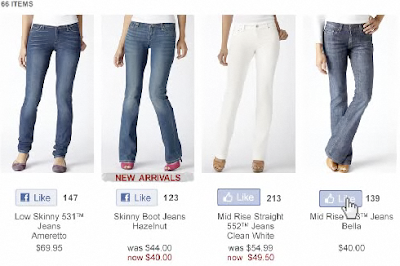 The Levi’s® brand is integrating the “Like” functionality on its e-commerce site – levi.com. 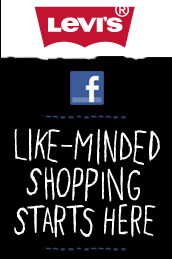 In addition, the Levi’s® brand is building a Friend Store in which consumers who are logged into Facebook can see a list of their friends’ favorite Levi’s® products and seamlessly shop with their friends. The Levi’s® brand is innovating with social and digital media on its Facebook page, in advertising and on its e-commerce website. Last month the brand leveraged its Levi’s® Facebook Page to amplify their ninth annual Levi’s®/FADER Fort event – a music festival in Austin, Texas. This initiative grew the fan base by 60 percent and garnered more than 780,000 live streams of the event. You can explore how other sites integrate Facebook here.